The event, which will take place from 4.30 to 7.00pm on Thursday 8 September 2016, is open to Primary, Secondary and Home Educators in the Tayside and Fife areas. 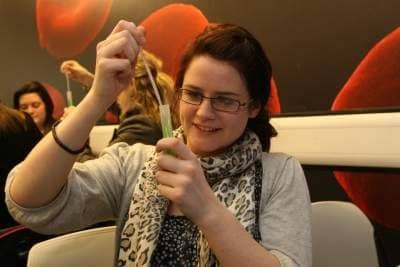 Guests can enjoy a complimentary glass of wine and snacks while meeting other educators and watch explosive demonstrations from Dundee Science Centre’s brand new workshops, with the chance to test their own paper rockets, drive a Lego Mindstorms robot, or extract some of their own DNA. The event will also inform educators about funding, booking procedures and classroom support, while unveiling some of the exciting activities on offer during November’s Dundee Science Festival. Free spaces can be booked at https://www.eventbrite.co.uk/e/educators-evening-free-tickets-26626293962.